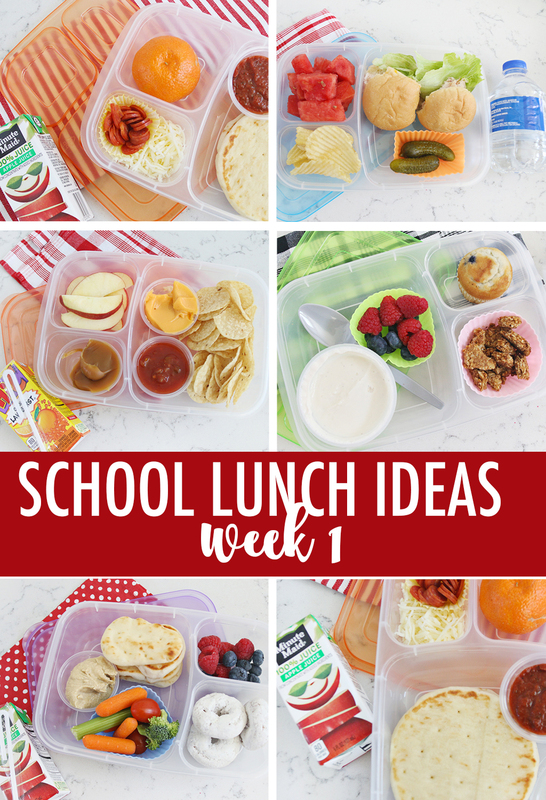 We are back with another week of lunch ideas, in fact we have 6 weeks of meal ideas that we’ll be publishing on Mondays so you’ll have fresh ideas for each new week. Turkey sandwich on a mini plain bagel. 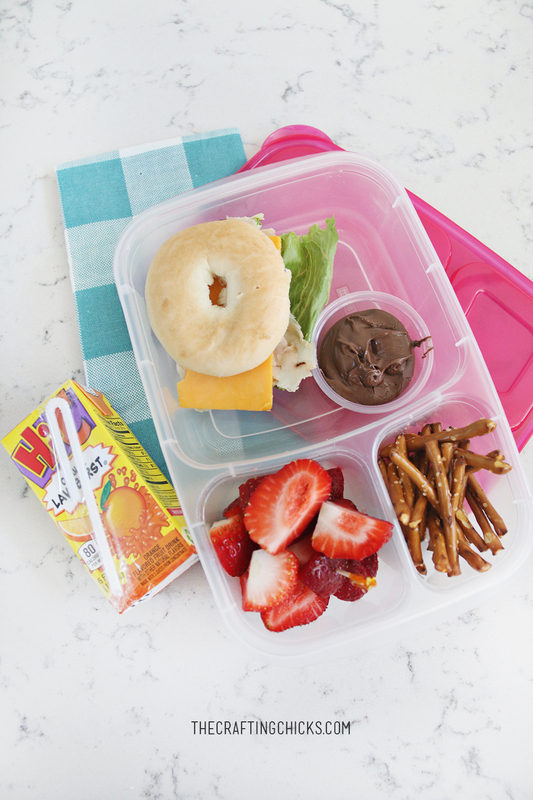 Strawberries and pretzels to dip in Nutella. Include a toothpick for the strawberries, because any time you can stab and dip fruit it’s more exciting. 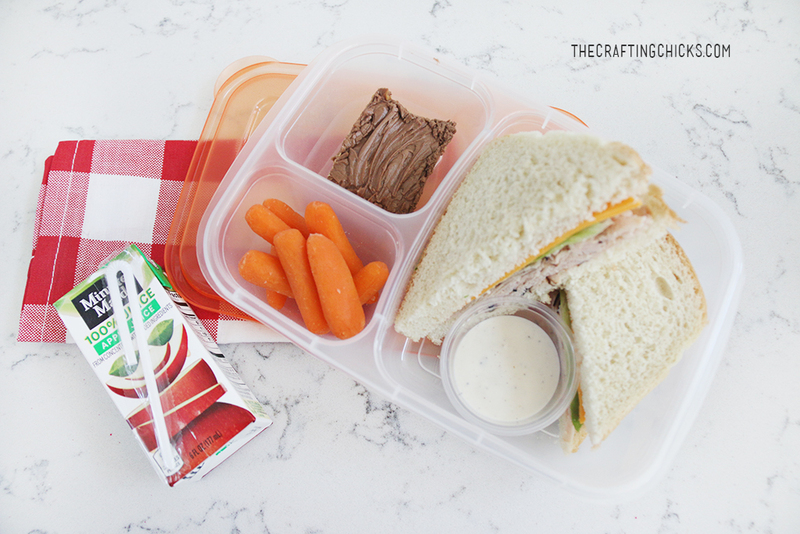 You can find condiment cups in the grocery store you can fill with sauces to keep the lunch box nice and clean. 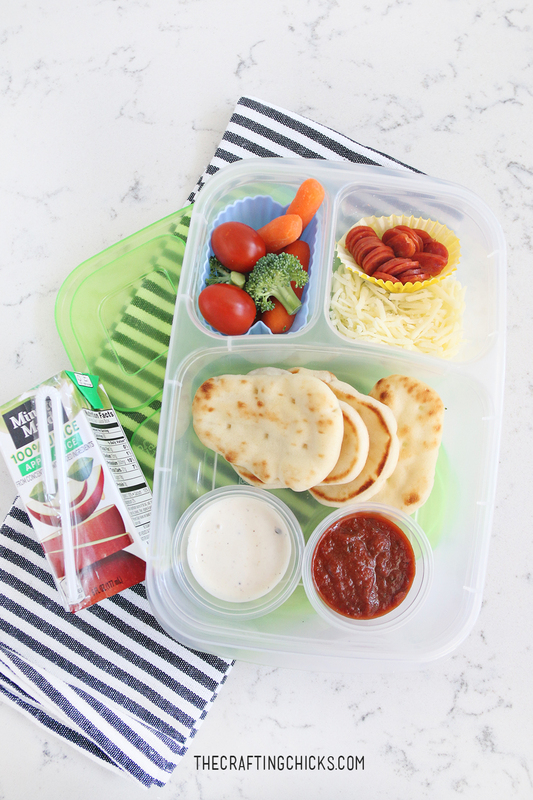 Naan dippers with pizza fixing and vegetables and ranch dip. Look in the deli section for different types of bread-like naan, wraps and pitas-than you normally buy. 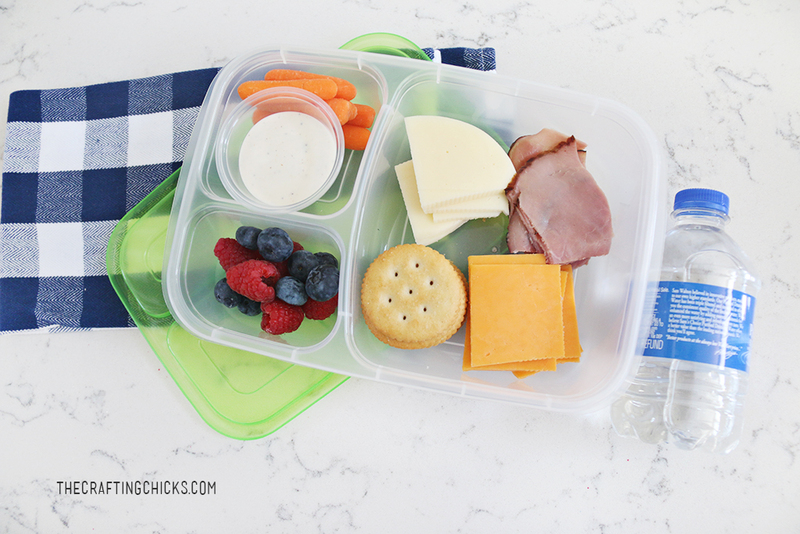 Build your own ham and cheese stackers on crackers. 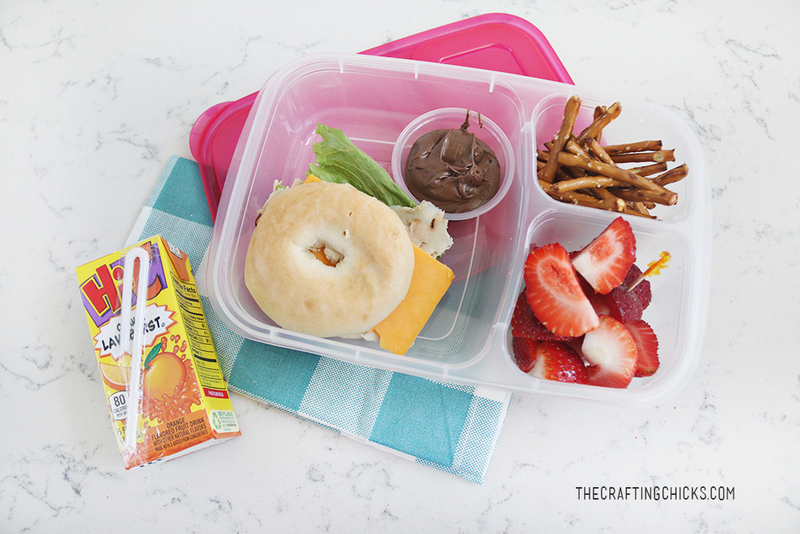 Similar to lunchables, only way better! 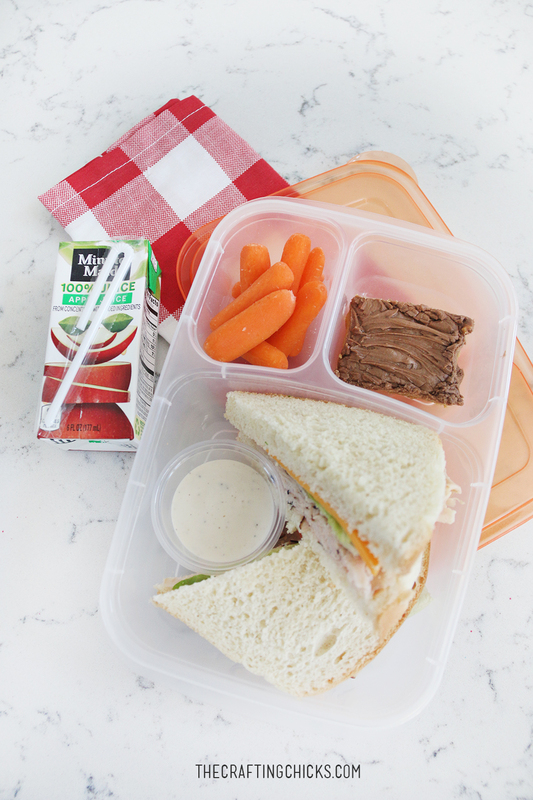 Some berries and carrots and ranch complete this lunch. 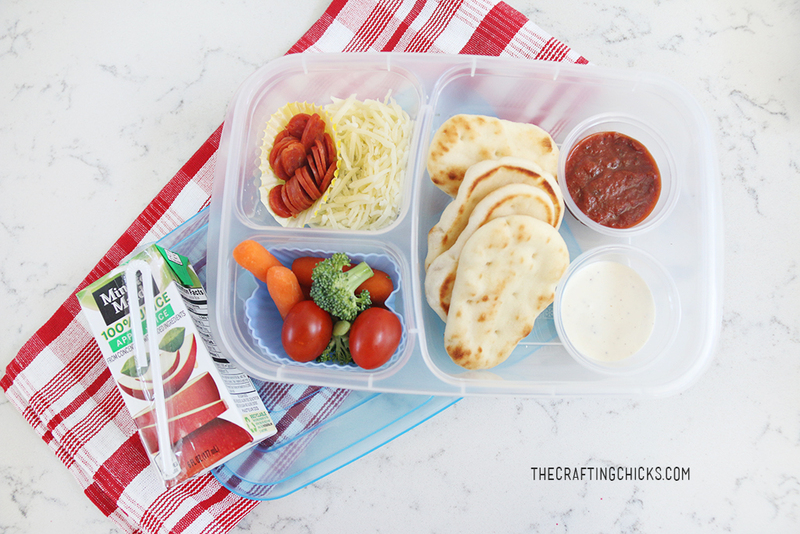 Making your own lunchables saves money and let’s each kid customize with their favorite meat, cheese, and type of cracker. Turkey sandwich on white bread. Hey, it’s okay to send a sandwich every once in a while. Kids will love the special peanut butter bar treat. 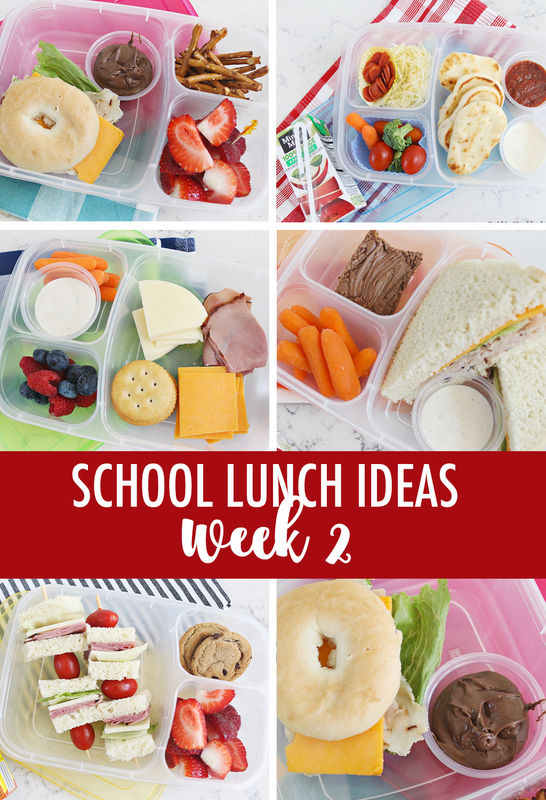 Don’t forget to keep options for drinks for lunches. 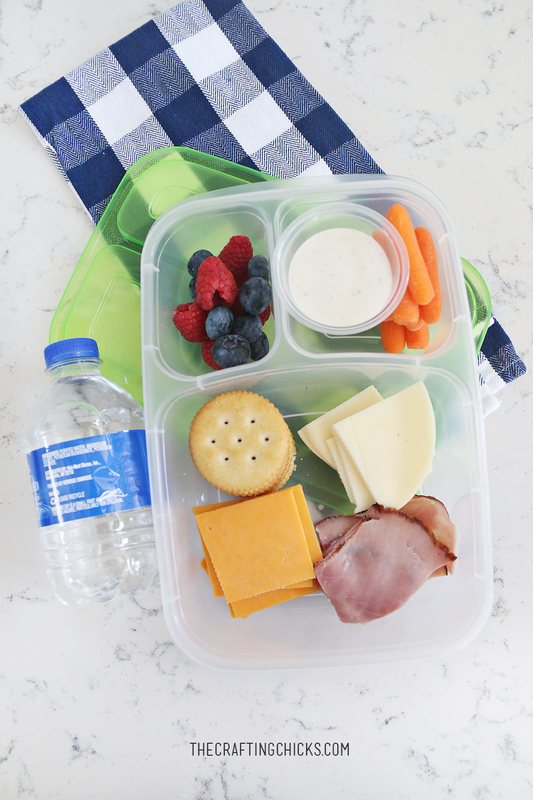 Juice boxes, milk and even water bottles will help to keep lunches for becoming mundane. 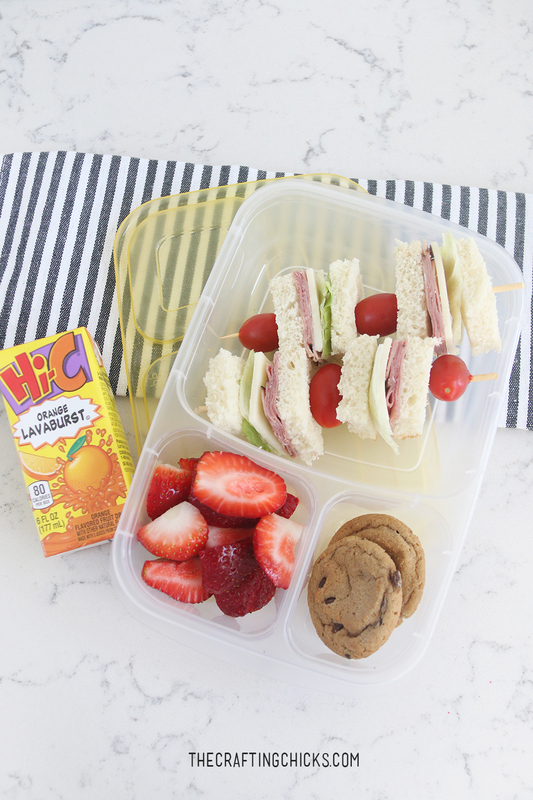 Sandwich kabobs, strawberries and mini cookies. 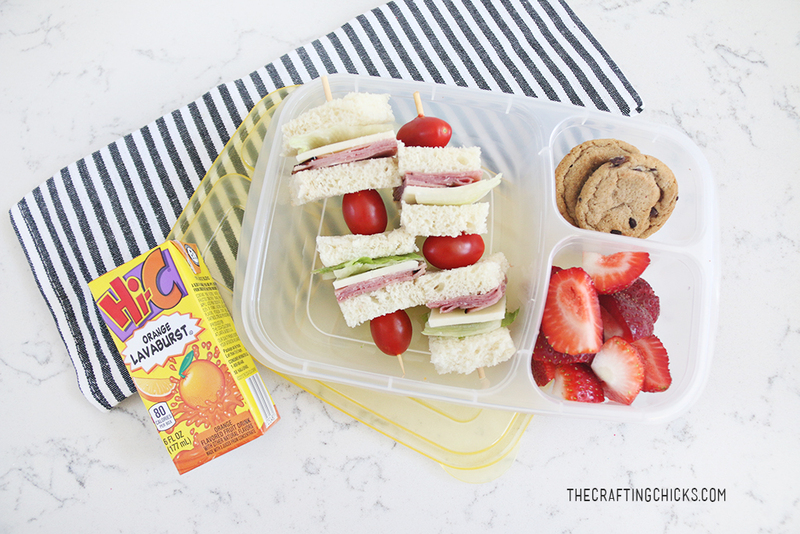 My kids love anything served on a stick and these sandwich kabobs are so easy to make. First, build your sandwich, then cut the crust off and cut the sandwich in fours. Layer sandwich squares with cherry tomatoes. Before building the kabobs, cut the skewer stick in half so they will fit in the container.